The Piran theatre building is an integral part of this smallish Mediterranean town, which from the late 13th to the late 18th century belonged to the Venetian Republic and then from 1813 to 1918 to the Habsburg Monarchy. In 1906, the Piran municipality entrusted the architect Gioacchino Grassi with the preparation of the conceptual plans. On the basis of these, the Trieste architect Giacomo Zammattio in 1909 created implementation plans, whilst the actual construction was finished in February 1910. The painting and decorative work was carried out under the leadership of the Trieste painter Napoleon Cozzi (1867-1916). The theatre was festively opened on 27 March 1910 with the staging of the tragedy Phaedra by Umberto Bozzini and named after the famous Italian violinist and composer Giuseppe Tartini (born 8 April 1692, Piran, died 26 February 1770, Padua). Between 1998 and 2000 the neglected theatre was once more thoroughly renovated. With the help of the preserved original plans and old photographs, the main façade and the auditorium in particular were as far as possible returned to their former state. 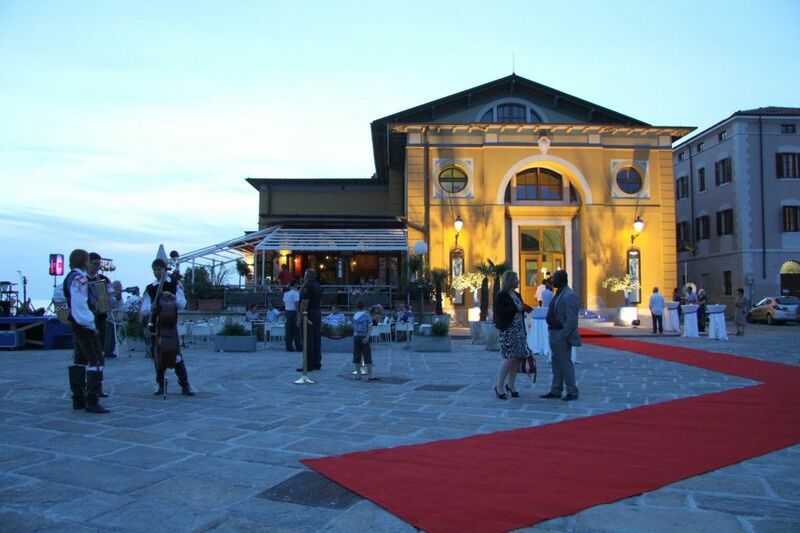 Now, the theatre is used mainly for conferences, symposia concerts, gala dinners and other events. INSIDE VENUE: Between 1998 and 2000 the neglected theatre was once more thoroughly renovated. With the help of the preserved original plans and old photographs, the main façade and the auditorium in particular were as far as possible returned to their former state. Now, the theatre is used mainly for conferences, symposia and concerts. Fonda Piran Sea Bass, the Best Farmed Fish in the World!